In recent years, several mobile devices with excellent performances have become accessible to people at affordable prices. The availability of this type of equipment, especially in the mobile sector, has encouraged research and development of increasingly complex applications (“Apps”) that require visualization of large-scale scene. However, large-scale 3D maps typically available through mobile version of so-called “spinning globes” do not allow the use of high definition data, due to their hardware limitations. This kind of lack should not be considered as a limitation, but as an opportunity: there are a lot of possibilities, especially in the tourism domain, where it is not required to construct wide 3D environment. Instead only a little portion of a specific territory using high quality spatial data over high fidelity three dimensional geometry models of the environment is sufficient. A simple example of this domain could be the representation of a Mediterranean island: these islands are generally small, numerous, lacking infrastructure whilst impacted by seasonal tourism, being far from the definition of smart cities. The infrastructure of future cities needs to support vibrant, innovative and entrepreneurial communities such as the community of an island that takes advantage of the digital environment and realize their potential to become “smarter”. In this context, this document presents the SMART-ISLANDS framework: a set of mobile and desktop applications for the seasonal tourism support, public sector and administration, private sector and university focused on the contest of the Mediterranean islands, using high fidelity 3D model for the environment representation and geographic information aiming at leveraging the concepts of smart-cities on the island context. 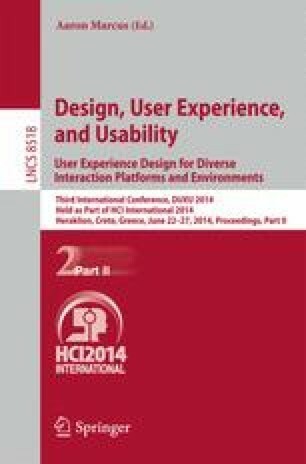 After the presentation of the application, a study will be conducted to investigate how the user experience and usability will change if the same application is executed as an applet, using a custom web browser, or on a mobile device as an application, changing the input device (mouse and gestures). Results, obtained by using ISO 9241 guidelines will be analysed, summarized and commented.